Ontario’s provincial government wants residents to switch to smart thermostats. As part of the province’s Green Ontario Fund — a not-for-profit agency that’s part of the Climate Change Action Plan — residents of Ontario can sign up to receive a free smart thermostat, complete with installation. Registrations, which are processed through the GreenON INstallations program, are now open for homes with a furnace or central air conditioning. Once installed, the technician will also provide residents with additional information on how to make more energy-efficient home upgrades, in order to reduce their carbon footprint and maximize their savings. “Taking strong action on climate change means making it as easy as possible for people and businesses to reduce greenhouse gas emissions at home and work, while also saving money,” said Chris Ballard, Ontario’s environment and climate change minister, in an August 30th, 2017 media release. The registration portal is open to both owners and renters of detached, semi-detached, town and row homes. Update 31/08/17: MobileSyrup has reached out to the Government of Ontario to find out which smart thermostats will be included in the new initiative. 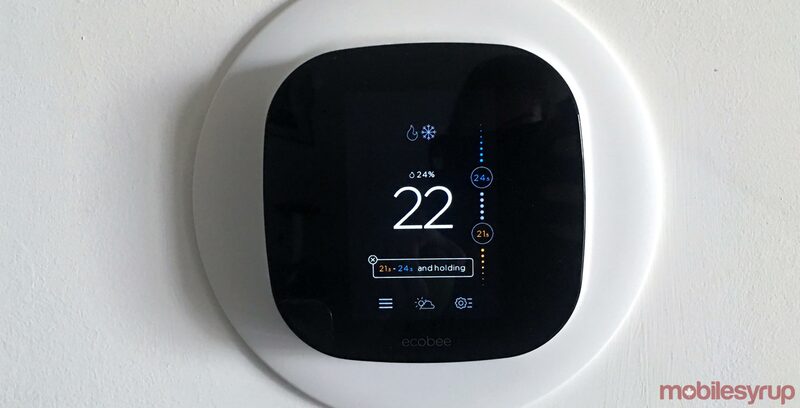 “If a homeowner has a central radiator heating system that is compatible with one of the eligible three smart thermostats, they will be able to participate in the program,” said Wheeler, in an email to MobileSyrup. Additionally, Green Ontario Fund technicians will begin installing smart thermostats in fall 2017. “The Green Ontario Fund is initially targeting to install 30,000 smart thermostats beginning this fall and another 70,000 thermostat installations in 2018,” said Wheeler.